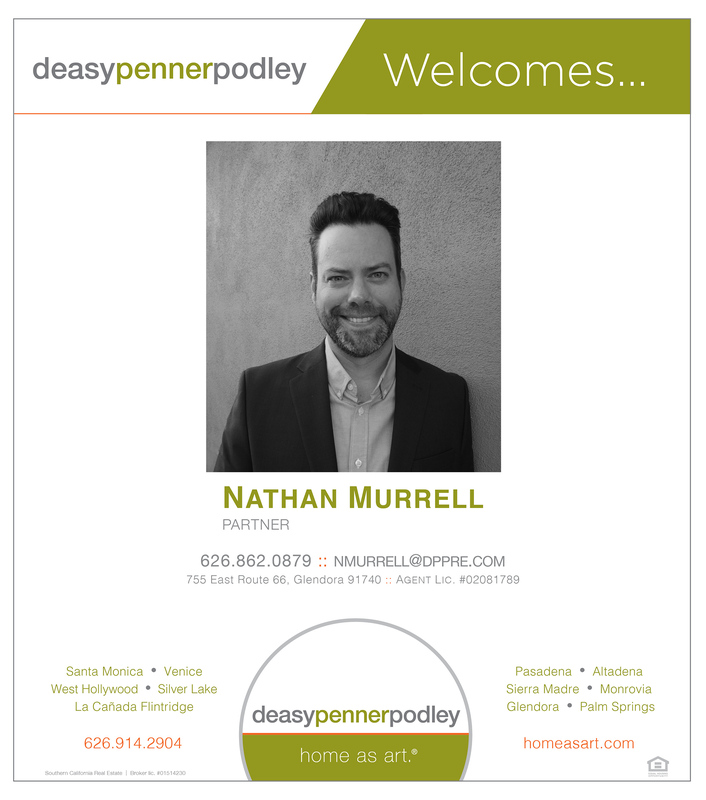 deasypennerpodley is excited to announce Nathan Murrell as a new agent to our Glendora family. Nathan started at deasypennerpodley in the middle of a 10+ year career as a visual artist and small business owner. Since attaining his MFA in 2006, Nathan has been designing, making, and selling his artwork and pottery in prestigious art shows across the country and internationally. His creative career that brings homes to life through art and décor truly resonates with the “The Home as Art” philosophy at DPP. Nathan’s interest in real estate began in New England when he started searching for his first home. It was a foreclosure that he bought under financially challenging circumstances. This challenge, and his knack for problem-solving, fed his interest in real estate so much that he helped several of his friends to buy houses as well, guiding them through the entire process. He became known as a distressed property expert and developed a sharp eye for details, construction, and resource management. After his move to California and meeting with the creative team at DPP, Nathan’s interest in real estate has grown into a passion and he seeks every opportunity to learn and grow more within the field. As an agent, you will find a creative, down-to-earth, and devoted partner in Nathan. He wants to exceed your expectations and will work tirelessly to meet your goals. His experience, combined with his artistic eye for detail and design, make him a unique and powerful asset in your sale of or search for a home.